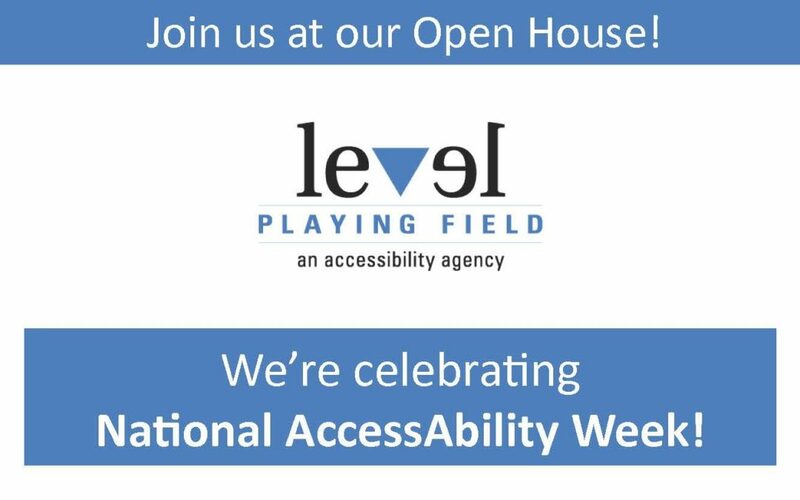 Level Playing Field’s Founder and Principal Accessibility Strategist, Darby Lee Young in a CTV NEWS clip, January 2019. 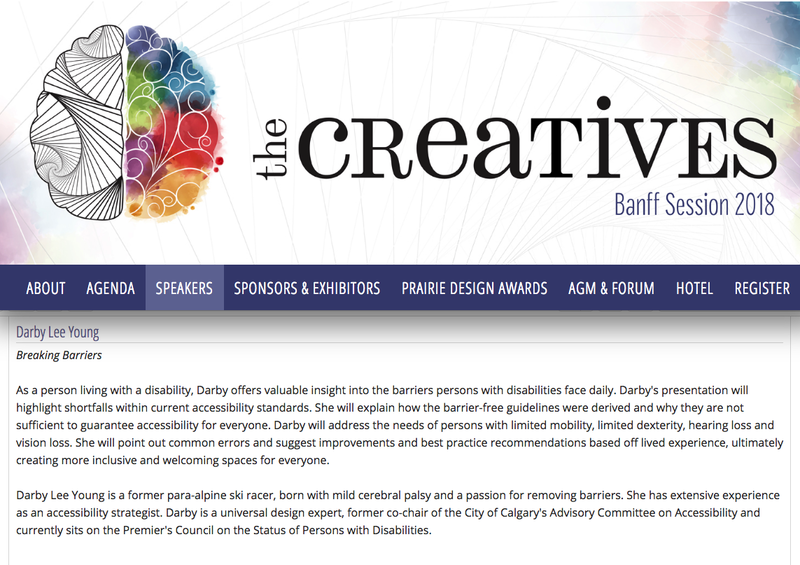 The AAA Banff Session Coming up! 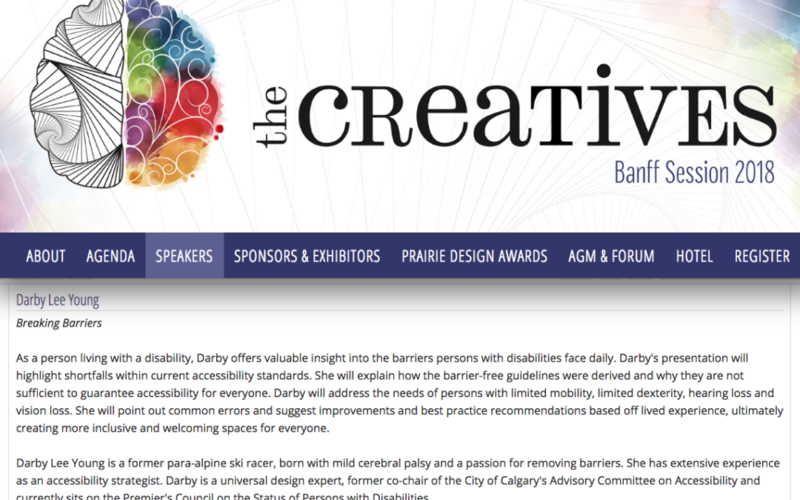 If you are headed to the Alberta Association of Architects 2018 Banff Session don’t forget to check out Darby on Saturday, May 12, 2018 at 2:15 pm as she discusses Universal Design from real life scenarios. If you are attending the conference, in general, please be sure to come say hi!